Top Rated Kindle Warranty Coverage! Only $34.99 for 2 Years of Coverage! A Kindle Warranty to Protect Your Reading! If you’re the proud owner of a Kindle, you’ve probably heard that Kindles aren’t exactly build like tanks. Kindles do break often. For this reason, having an extended warranty on your Amazon Kindle should be something that you consider heavily after making that purchase. Since Kindles are running most of the time in the $200 range, and getting one repaired can often cost the same as what you paid if not more, it makes sense to have an extended warranty in place. Consumer Priority Service provides Kindle warranties that cover accidental damage such as liquid spills, drops, bumps, breaks, cracks, power surges and malfunctions. Having a Kindle case in addition to your Kindle warranty would also make it even more protected from the elements. Having a Kindle warranty from Consumer Priority Service means that you can read on your Kindle with total peace of mind, knowing that if something happens to your Kindle, we’ve got you covered. Don’t wait until it’s too late! 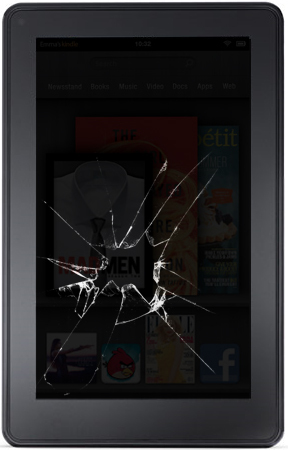 A Kindle warranty from Consumer Priority Service puts your Kindle in good hands in the event of an accident. When shopping for Kindle accessories, be sure to get the most important accessory of all; a Kindle warranty. Get protected today!